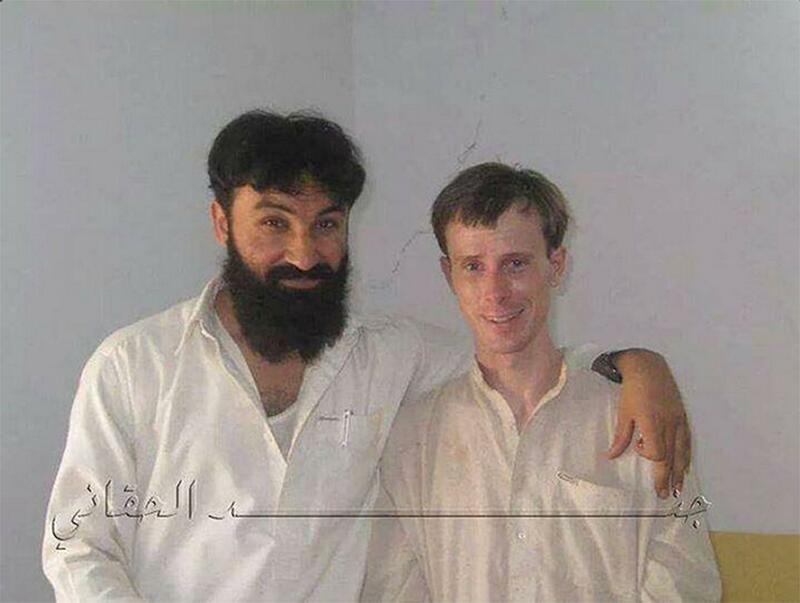 Bergdahl says this photo was taken right after that meeting with Sangeen. The man with his arm draped around his shoulder is Badruddin Haqqani, son of Jalaluddin Haqqani. The Haqqanis are allied with the Taliban, who were holding Bergdahl captive in Pakistan. Badruddin Haqqani was killed in a drone strike in August 2012. They posted the photo on July 9, 2014, nine days after Bergdahl was released to a U.S. Special Operations team.